Jesus’ entire life centered on and flowed from his amazing love for God the Father. In his human nature Jesus possessed the Gift of Piety to its fullest extent, and we might say to an infinite extent. We too, by virtue of baptism, are called to this deep, filial love of God the Father, and the Holy Spirit’s Gift of Piety is geared to produce this supernatural love of God in our hearts. In this context, see my previous post on the crucial importance of devotion to the loving tenderness of God the Father (see “Recent Posts” directly to the right of this note). Piety is one of the seven gifts of the Holy Spirit (see CCC 1831). People sometimes associate piety with Grandma saying the rosary, so please listen up: piety is a hugely important gift of the Holy Spirit, for it is the filial confidence of a son in his Father. And when we truly trust in God as our dear and tender Father there is practically no limit to the service we may render to Him. The Holy Spirit can fill our hearts with a tremendous love of God the Father! In Hungry for God Ralph Martin states that “knowing that we are fully sons and daughters of God and discovering the implications of this relationship makes all the difference for living a fruitful and Christian life. Being able to say and know, ‘God is my Father,’ makes all the difference for prayer, love of brethren and service to others” (26-27). Martin relates that “standing at a cold bus stop one day,” he just started saying “over and over again, ‘Father, Father, Father’,” and this revelation of God’s Fatherhood “was such a turning point in my awareness of who He is to me. There have been others, and each one has drawn me into a deeper freedom from anxiety and a greater confidence in what God has for me” (20-21). We must remember: the Holy Spirit will also give to us this amazing gift of piety – which is a filial confidence in our Heavenly Father. Oh! if we had greater confidence in God, what more might we do for Him! Pray to the Holy Spirit for the gift of piety, the gift of realizing that you truly are God’s beloved son or daughter. As mentioned above, the Spirit of piety rested on Jesus to an infinite degree, for he was consumed with love for His Father’s glory. “In those days Jesus came from Nazareth of Galilee and was baptized by John in the Jordan. And when he came up out of the water, immediately he saw the heavens opened and the Spirit descending upon him like a dove; and a voice came from heaven, “Thou art my beloved Son; with thee I am well pleased” (Mark: 1:9-11). I think it would be fair to say that all of the canonized Saints operated under the profound influence of the Holy Spirit’s Gift of Piety – a gift given to each of us in Baptism – which is why they loved God so intensely. 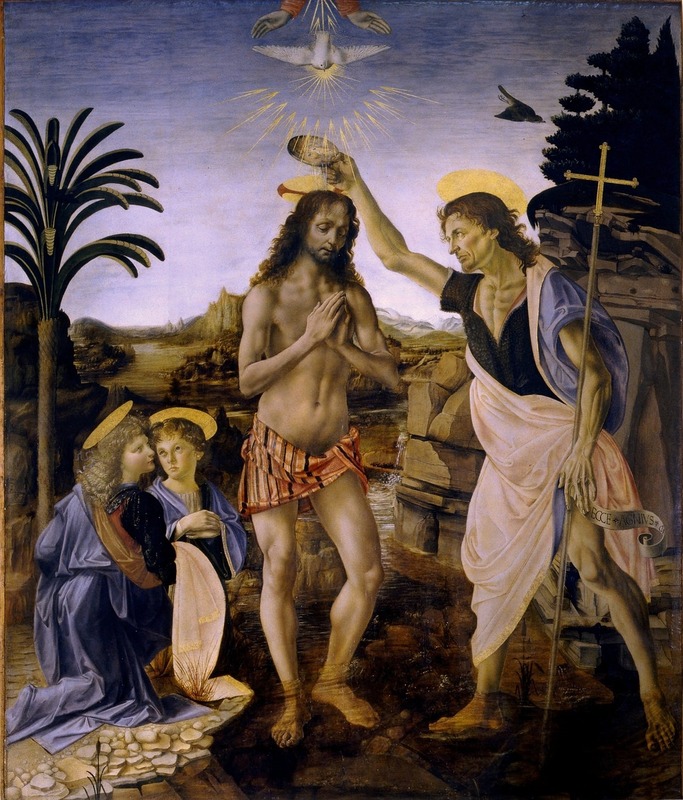 Note: Jesus’ baptism, whereby he is anointed for service as the Messiah, also images for us the plenitude of the Holy Spirit He received from the very first moment of His human existence. The gift of piety has other implications, such as a love of religious practices, and meekness toward our neighbor.